This definitive reference on concrete technology covers fundamentals and detailed information on freshly mixed and hardened concrete. 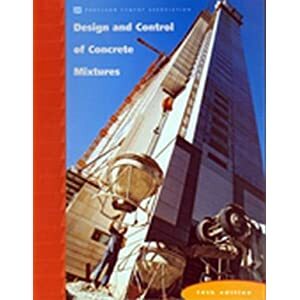 This electronic and updated edition discusses materials for concrete, such as portland cements, supplementary cementing materials, aggregates, admixtures and fibers; air entrainment; procedures for mix proportioning, batching, mixing, transporting, handling, placing, consolidating, finishing, and curing concrete; precautions necessary during hot- and cold-weather concreting; causes and methods of controlling volume changes; commonly used control tests for quality concrete; special types of concrete, such as high-performance, lightweight, heavyweight, no-slump, roller-compacted, shotcrete, mass concrete and many more. Applicable ASTM, AASHTO, and ACI standards are referred to extensively. Includes comprehensive glossary, links to cement and concrete resources on the web and metric conversion program. Links from references in the book provide access to 170 research reports and relevant web sites. Entire book is indexed and can be searched using keywords or phrases.